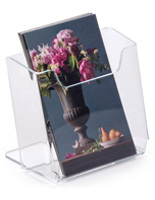 These brochure holders accommodate 7" wide material. 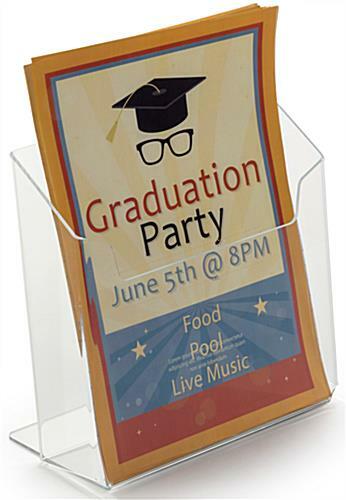 This extra wide acrylic pocket is ideal for such items as take-out menus and other pamphlets that are printed on extra wide paper. 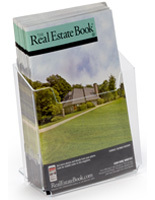 These brochure holders are often found in retail stores and gift shops at the register to offer a wide range of flyers and other reading materials. The acrylic construction makes this pocket lightweight and extremely affordable. 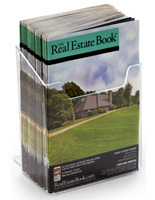 Each of these brochure holders is two inches deep, allowing for large quantities of pamphlets. The slightly angled design of these acrylic literature pocket helps to keep the contents upright. The clear styling of these brochure holders makes it easy for passersby to see the entire image or text on the front of the flyers. 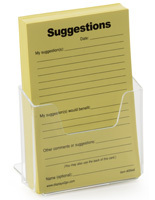 Place these pockets in a waiting room or reception area to offer guests free literature regarding your products and services. 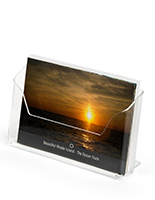 To add a more personalized touch; these brochure holders can also be UV printed with a custom logo or company slogan. Full color graphics can be imprinted on the front of the 7-1/4" wide pocket. 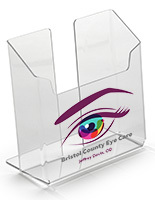 Customers and passersby will stop and take notice of these brochure holders with vibrant colors printed on the acrylic. 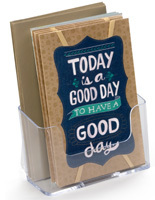 Use the front of this countertop literature pocket to display such phrases as; "take one" or "free". 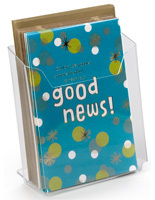 Each of these brochure holders features a 4-1/2" high support in the front that keeps flyers from flopping over. The extra-wide width of these acrylic pockets enables users to place two standard size pamphlets in the display with minimal overlap. 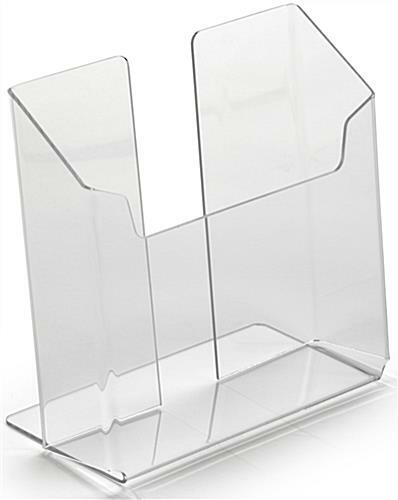 Purchase these brochure holders in bulk quantities to take advantage of the larger discounts! 7.3" x 7.0" x 20.0"